Many, if not most, organizations today are grappling with the challenge of a growing mobile technology environment. Mobility can deliver many key benefits: improved collaboration among workers, enhanced customer service, easier access to corporate information from many locations and increased productivity—to name a few. 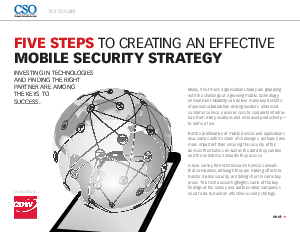 But the proliferation of mobile devices and applications also comes with its share of challenges, perhaps none more important than ensuring the security of the devices themselves as well as the data they contain and the enterprise networks they access.